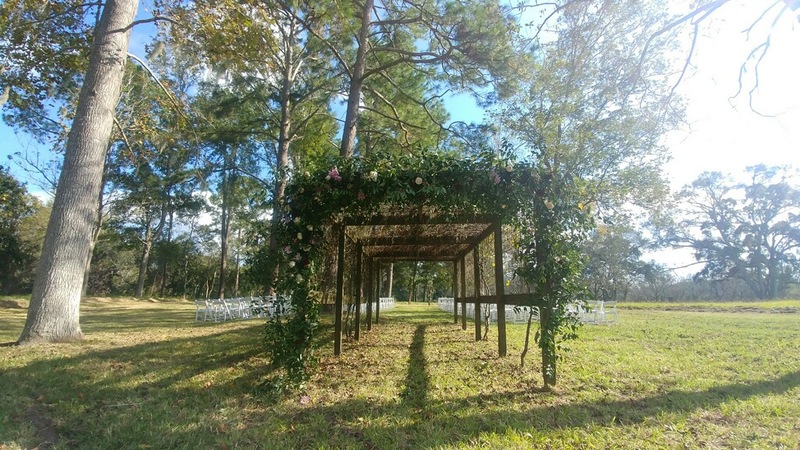 Make your special day unique with a one-of-a-kind outdoor venue! 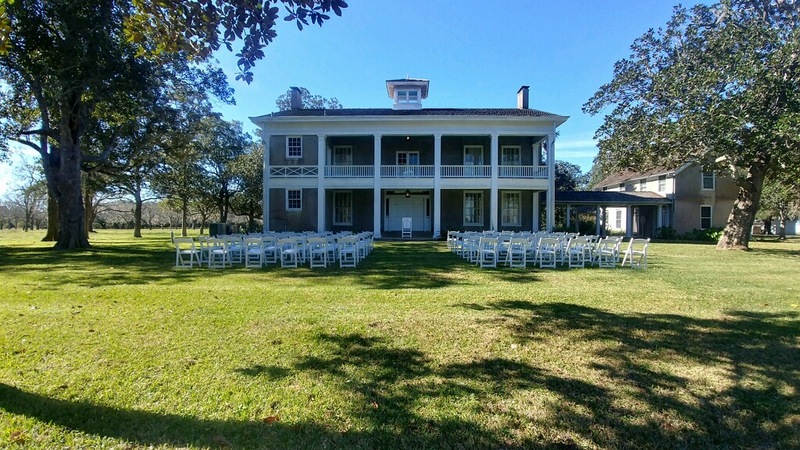 This historic site is perfect for weddings, quinceaneras, anniversary parties, vow renewals, bridal and baby showers, and so much more! 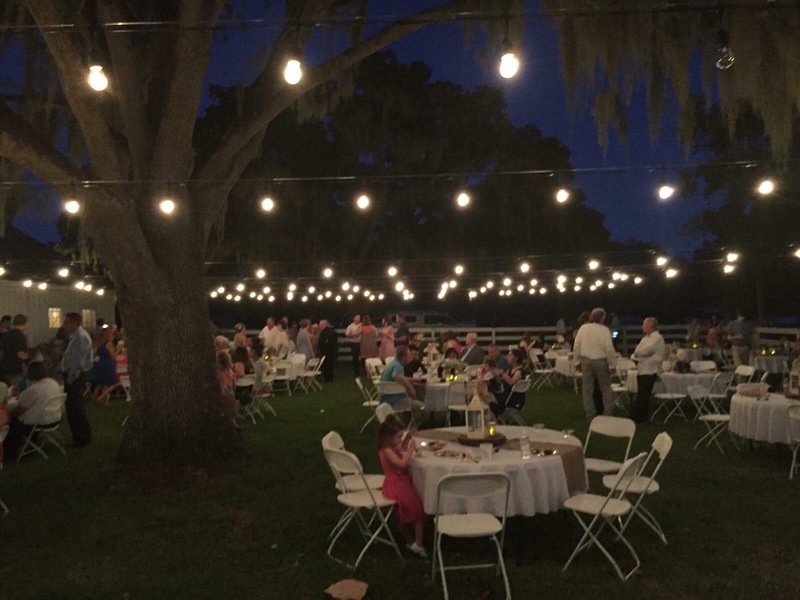 Surrounded by trees and Spanish moss, our 1830s plantation house and surrounding grounds make lovely backdrops for any event. Call us at 979-345-4656 x24 to discuss all your wedding and event needs. Planning a special event? 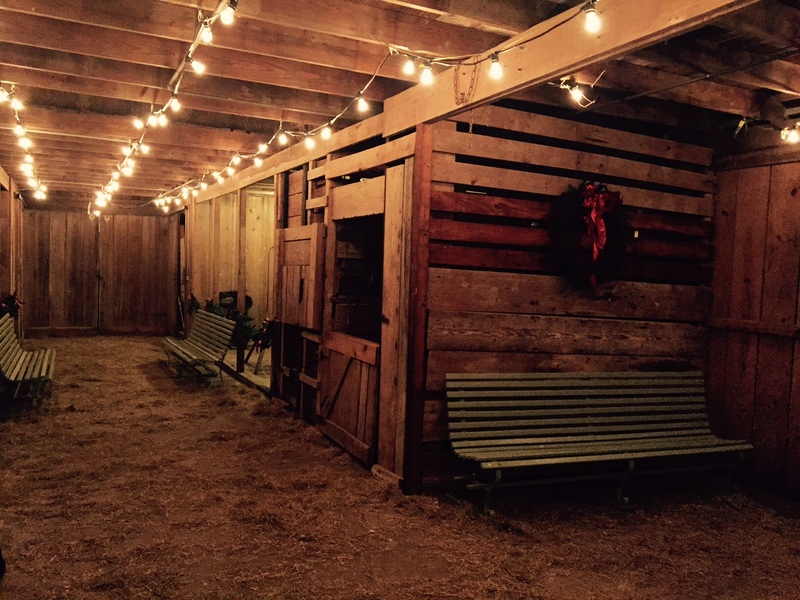 Read more about our rental cottages for on-site accommodations, and take a look at our wedding and special event packages! For more information about reserving the site for your special event, please call 979-345-4656 x24 or email varner-hogg@thc.texas.gov. 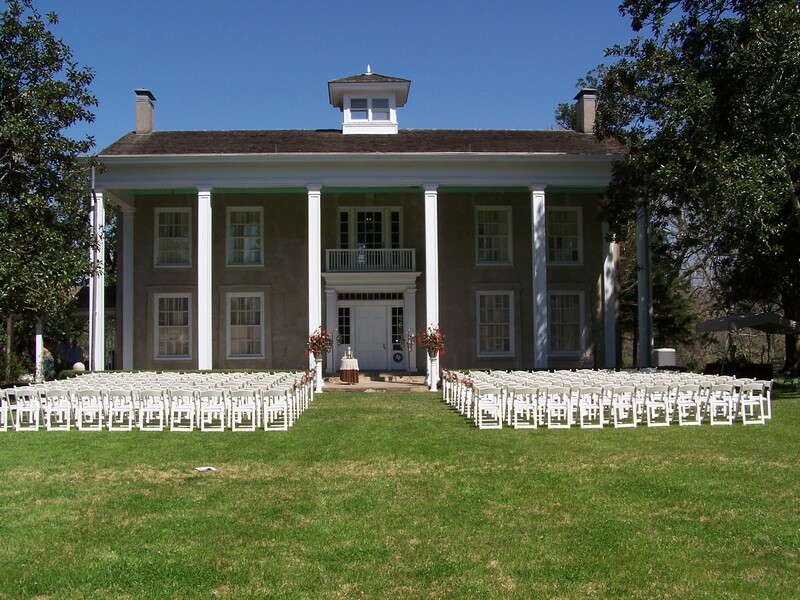 A wedding in front of the plantation house.